What does this mean to the Greater Madison area*? In the absence of the state and local taxes generated by tourism, each Dane County household would need to pay an additional $720 to maintain the current level of government services. The Greater Madison area depends heavily on the work that you do in the service industry each day to bring visitors here and ensure they enjoy their visit. The GMCVB appreciates the true partnership we have with all of you that helps keep the tourism industry a robust economic growth engine. We are excited for what the future holds! 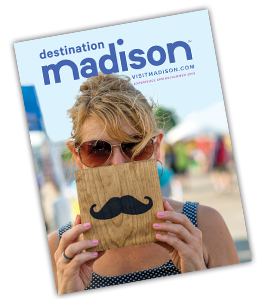 Click here to see the full report on The Economic Impact of Tourism in Dane County. *Tourism data is supplied by Tourism Economics and Longwoods International. Since opening in 2004, Brocach Irish Pub & Whiskey Den (Gaelic for badger) has been the place to go for traditional Irish fare, whiskey and of course, the perfect pint of Guinness. “We’re a bar for grown-ups but we don’t take ourselves too seriously,” says Rich McDonald, a managing partner of Brocach. The relaxed atmosphere makes this an ideal destination for everything from happy hour to a date night dinner. 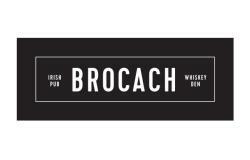 Last year, Brocach completed a head-to-toe makeover which made it a lighter and brighter space and transformed it into a more contemporary Irish pub. The upstairs lounge, the Whiskey Den, boasts dramatic views of the Capitol and features over 90 varieties of whiskey from around the world, making it the perfect place for your next private party or holiday celebration. Under the direction of Chef Kate Magee, the menu also underwent a makeover, integrating new dishes such as smoked whitefish Caesar salad and lobster rolls with classics like shepherd’s pie and bangers and mash. Sláinte mhaith! (Good health in Irish Gaelic). In this employment climate, it is important to leverage valuable resources when recruiting solid talent. You are already paying for a service through taxes that you might not know you have access to. Register with the Job Center of Wisconsin to tap into a candidate pool that can help fill your employment needs! Log into jobcenterofwisconsin.com to access résumés and opportunities to post your open positions. Our website is easy to maneuver and has useful resources such as labor market information, links to Veteran’s services, an event calendar, helpful descriptions for job postings, information on education and training and links to our partners. I am happy to answer your questions about our services. Please contact me at mary.kauffman@dwd.wisconsin.gov—I look forward to meeting you! For questions about job postings and/or registration status, please call 1.888.258.9966. A free online booking site for RV parks and campgrounds. Campers who use RoverPass can quickly and easily browse campsites across the country including access to reviews, campsite activities/amenities, pictures and more.